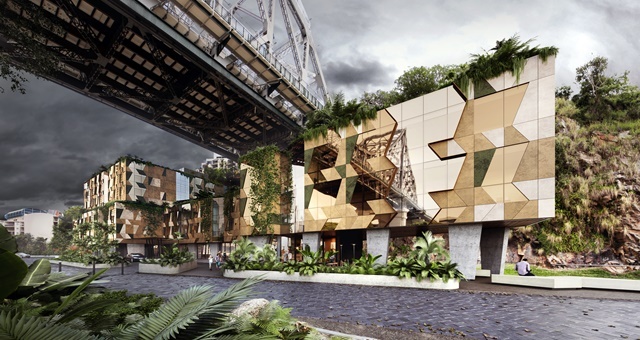 Brisbane’s second Art Series hotel opening will be a headline act for the city in 2019. Tourism Australia has released its Year-in-Review for Hotel Investment in 2018, with all signs pointing to a positive 2019 as supply begins to catch up to demand. Investors showed a heightened focus on developing new rooms and improving the supply chain. For the first time in over a decade, the number of new rooms opened to guests throughout the year exceeded the number of new deals signed. Despite this, demand growth (+2.1%) for the year to 31 October 2018 continued to outstrip supply (+1.9%), however the prospects for 2019 are exciting as nearly 8,000 new rooms will come online across 41 new hotels nationwide. This year however saw 6,291 rooms opened to guests across 56 new hotels, indicating the dominant style was for a more boutique model with fewer rooms. The leading state for new hotels in 2018 was Queensland, which opened 22 properties across the year, collectively adding nearly 2,250 rooms to the state’s total. The success of the Gold Coast Commonwealth Games in April provided the glitter strip with a much welcomed boost as average RevPAR jumped 10% for the year ending 31 Oct.
NSW also performed strongly, seeing nearly double the number of new hotels open (15 to 9) compared to Victoria. However, hotels opening south of the Murray were larger, with the gap far narrower in terms of overall room numbers (1,612 to NSW vs 1,202 for Vic). Western Australia is shaping up for a big year in 2019 as a bevy of new rooms come online across five new hotels confirmed at this point. The same can be said comparatively for Tasmania, which saw no new hotels open in its capital Hobart in 2018 (the Peppers Silo in Launceston was the state’s only opening) but has four readying for action in the next twelve months. Back on the east coast, some exciting projects are lined up for 2019. Melbourne is firmly in the spotlight with more than 2,500 rooms set to join the fray. Key highlights for the year will also be the reopening of Daydream Island in the Whitsundays, a new Art Series in Brisbane and the visually stunning W Hotel at Sydney’s Darling Harbour.